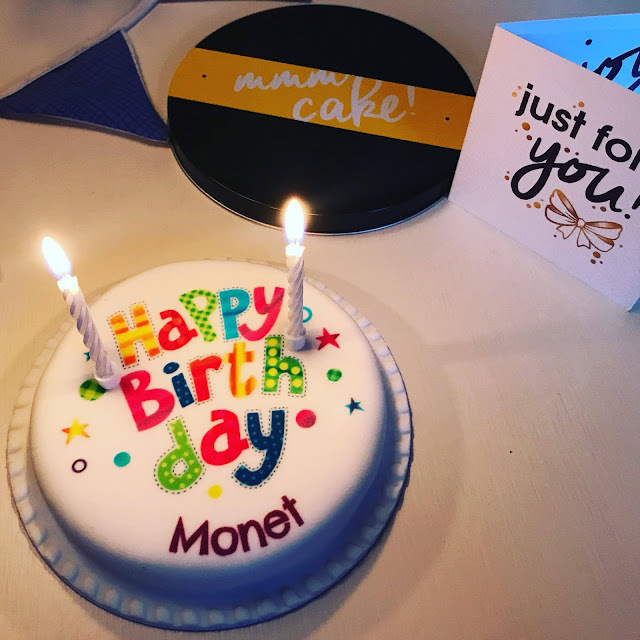 A little life update for you all, yesterday was my 24th birthday and luckily for me, the lovely people over at Bakerdays offered to send me a personalised cake to celebrate the occasion. Bakerdays are based in Nottinghamshire and specialise in cakes which come delivered through your letter box which I think is such an amazing idea. 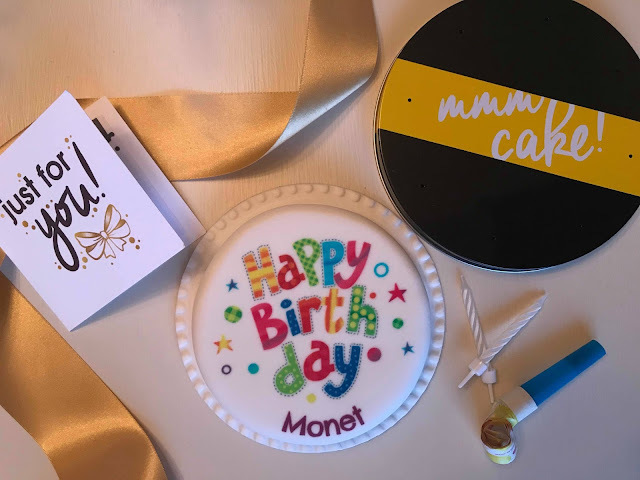 I chose to go for the 'Happy Birthday' 5" letterbox cake in Traditional Sponge however, they also whip up a variety of sized and themed cakes and flavours including both dairy and wheat free. Don't see a design you fancy? The team can always design one especially for you. The cake comes in a boxed in a little round tin along with a card, balloons, two candles and a party horn. Everything you need for a miniature celebration. As for the thing itself, it tasted delicious. A soft sponge and super sweet icing. Perfect. I would certainly use Bakerdays again as I think these cakes make a great alternative to a present or card. If your recipient lives a fair distance away, they would be a lovely surprise. Delivery is also next day too so also doubles up as the perfect last minute gift. Fancy ordering one for yourself? Check out what Bakerdays have to offer here. I'm running a competition over on my Twitter for one lucky person to win a Bakerdays letterbox cake. Check out my pinned tweet @MonetBrooks. I'd like to say a huge thank you to the Bakerdays team for my cake. It was so cute. It really put a smile on my face and helped me celebrate my birthday.